It takes a village to transform a child. 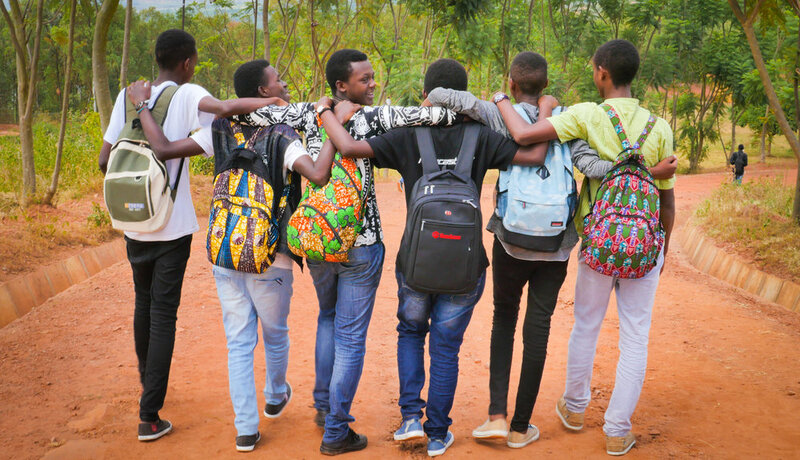 Through healing, education, and love, the Agahozo-Shalom Youth Village empowers orphaned and vulnerable Rwandan youth to build lives of dignity and contribute to a better world. We are proud to announce ASYV’s Executive Director, Jean-Claude Nkulikiyimfura as the recipient of an inaugural Global Impact Award. The Global Impact Awards honor those who have made a meaningful contribution towards international development while forging partnerships between Israel and the global Jewish community. Read more about JC and this honor here and in Baltimore Jewish Life! Join us for an evening that will transport and inspire you! Reserve your tickets or sponsorship at fundraise.asyv.org/villagetime. Read about the incredible women - our Mamas - who raise the students of the Agahozo-Shalom Youth Village. Hello! We are Noella and Bosco, and we will be your guides today. We are students at ASYV and attend the Liquidnet Family High School. Our days are filled with school, activities, and time spent with the family, among many other things. You’ll see our faces pop up throughout the site, helping to explain what ASYV is, how it works, and how you can get involved. Maybe there is even a chance we'll get to meet, if you visit ASYV! What can one village do?